A hotly debated legislative proposal presented at the end of March would enable candidates to require judges to swiftly decide whether to stop the dissemination of allegedly false information online during electoral periods (see Media, Diversity, and Content Manipulation). For the second time in 2017, the Constitutional Council struck down a provision that criminalized the regular consultation of websites deemed to incite or glorify terrorism. On the other hand, users continued to be sentenced for inciting or glorifying terrorism online (see Legal Environment and Prosecutions and Detentions for Online Activities). While the prolonged state of emergency officially ended in November 2017, certain emergency measures were enshrined into ordinary law through the “Act to reinforce internal security and the fight against terrorism.” A provision obliging suspects to provide all their electronic identifiers to authorities was omitted from the final text (see Legal Environment). While France’s internet freedom environment improved slightly as the impact of disinformation eased after a tense election year, new French President Emmanuel Macron reacted by promoting a legislative proposal to combat fake news during election campaigns. Although the surge in “fake news” and political bot operations did not ultimately manage to sway the result of the French election in 2017, the proliferation of disinformation and leaks seeking to disrupt the process raised alarm. After being targeted by fake news and rumors during the election, President Emmanuel Macron announced in January 2018 a proposal to prevent large scale disinformation campaigns on the internet that are likely to affect the vote. Presented at the end of March, two texts under consideration would enable judges to swiftly decide whether to stop the dissemination of allegedly false content during elections and pre-election periods. Measures to address terrorist threats have also continued to impact France’s internet freedom environment by expanding surveillance powers and limiting judicial oversight. Following a string of deadly terrorist attacks, France finally ended a two-year state of emergency in November 2017. However, some of the exceptional powers used under the state of emergency were codified into ordinary law. Moreover, a recent amendment to the routine military spending bill (the Military Planning Law) for the years 2019-2025 extended internal access to data collected outside borders, by providing anti-terrorist investigators with information obtained by France's external intelligence agency. France’s internet penetration rate continued to increase, although regional disparities persist. The current ICT market is open, highly competitive, and has benefited from the privatization of the state-owned company France Telecom. The telecommunications industry in France is regulated by the Regulatory Authority for Electronic and Postal Communication (ARCEP),14 while competition is regulated by France’s Competition Authority and, more broadly, by the European Commission (EC).15 The commissioner of ARCEP is appointed by the government, but as an EU Member State, France must ensure the independence of its national telecommunications regulator. 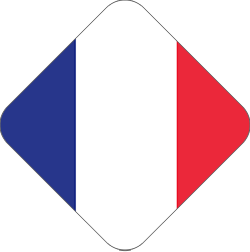 Given that the French state is the main shareholder in Orange, the country’s leading telecom company, the EC stated that it would closely monitor the situation in France to ensure that European regulations were being met.16 ARCEP remains an independent and impartial body, and regulator decisions are usually seen as fair. ​Following a string of deadly terrorist attacks in France, much attention has focused on mechanisms to counter pro-terrorist content online, resulting in an uptick of removal and blocking requests. Legislative proposals to tackle disinformation campaigns emerged in the aftermath of the 2017 presidential election. France does not generally engage in any politically-motivated blocking of websites. YouTube, Facebook, Twitter, and international blog-hosting services are freely available. However, since the Charlie Hebdo and November 2015 attacks in Paris, the government has released statements suggesting that limiting fundamental rights of citizens would serve public safety,19 and terrorist-related content has been subject to censorship. The Paris attacks in November 2015 and the terrorist attack in Nice in July 2016 impacted the number of overall requests to censor content linked to terrorism (see “Content Removal”). According to CNIL’s activity report covering the period between March 2017 and February 2018, French authorities made 763 requests to block sites, compared to 874 during the previous period (some of them were made available again after the removal of infringing content). Administrative blocking requests for terrorist content targeted 83 sites, compared to 680 sites displaying child abuse.25 This mechanism does not report the detailed content of websites blocked, but it does report censorship decisions disputed by CNIL. Under the extended state of emergency legislation first adopted in November 2015, the interior minister was given the power to block websites and social media, taking “any measure to ensure the interruption of any public communication service online that glorifies or incites acts of terrorism.”26 However, the Minister of Interior has not resorted to this measure. Laws to address threats to national security have bolstered the state’s surveillance powers and introduced stricter measures to tackle terrorist propaganda online. The prolonged state of emergency initiated after the Paris terrorist attacks in November 2015 finally ended in November 2017, but some of the exceptional powers used under the state of emergency were codified into ordinary law. No citizens faced politically-motivated arrests or prosecutions, but users have increasingly been sentenced for inciting or glorifying terrorism online.66 The broad terms of “inciting” and “glorifying” terrorism risk targeting speech that have tenuous causal links to terrorist acts. Surveillance has escalated in recent years, not least with the enactment of a new surveillance law in July 2015, which was passed in the wake of the attacks on Charlie Hebdo earlier that year. 1 International Telecommunication Union, “Percentage of Individuals Using the Internet, 2000-2017,” http://bit.ly/1cblxxY. 48 La Quadrature du Net, “Who are we?” accessed February 15, 2016, http://bit.ly/2dzGBpm. 49 Danny O'Brien, “Blogging ACTA across the globe: the view from France,” Electronic Frontier Foundation, January 2010, accessed February 15, 2016, http://bit.ly/2eXcb1u. 51 “The free communication of ideas and opinions is one of the most precious of the rights of man. Every citizen may, accordingly, speak, write, and print with freedom, but shall be responsible for such abuses of this freedom as shall be defined by law.” See: Declaration of the Rights of Man 1789, September 1, 2016, http://bit.ly/1AgkDwp. 52 Guy Carcassonne, "The Principles of the French Constitution,” published on the website of the Embassy of France in Washington, DC, November 28, 2007, http://bit.ly/1X4r11P. 53 European Court of Human Rights, European Convention on Human Rights, accessed September 1, 2016, http://bit.ly/1foTq0D. 54 “Human Rights Watch, “France: New Emergency Powers Threaten Rights,” November 24, 2016, http://bit.ly/1P8yL1Q. 55 “Discours de Manuel VALLS, Premier ministre, Projet de loi sur la prorogation de l’état d’urgence, Assemblée nationale” [Speech by Manuel Valls, Prime Minister: bill on the extension of the state of emergency, National Assembly], gouvernement.fr, November 19, 2015, http://bit.ly/2duhrIJ. 56 See: Declaration of the State of Emergency, November 14, 2015; First extension of three months, Law 2016-162, February 19, 2016; Second extension of two months, Law 2016-629, May 20, 2016; Third extension of six months, Law 2016-987, July 21, 2016. 57 La Quadrature du Net, “A Police State to Avoid any Critical Evaluation?” November 19, 2015 http://bit.ly/1kNOJlk; See also: Glynn Moody, “French state of emergency allows website blocking, device search powers,” Ars Technica, November 20, 2015, http://bit.ly/1XeWKf1. 58 Law 2015-1501 of November 20, 2015, Article 11, http://bit.ly/2evb2MQ. 61 Law 2014-1353 of November 13, 2014, http://bit.ly/1T1dzwE. 62 Law 2016-731 of June 3, 2016, http://bit.ly/2cS1zAO. 66 See for example: “A Nice, une Franco-Tunisienne condamnée à trois ans de prison pour apologie du terrorisme,” [Franco-Tunisian woman sentenced to three years in prison in Nice for apology of terrorism] Le Monde, 18 June, 2016, http://bit.ly/2eIhRbJ; Une peine record à Montpellier pour un homme accusé d'apologie du terrorisme sur internet [Record sentence in Montpellier for man accused of apology of terrorism online], France 3 Languedoc-Roussillon, August 31, 2016, http://bit.ly/2dAXv24.